The first two (of many) gems you’ll pass while walking the John Muir Trail come quickly. Vernal Fall and Nevada Fall are visible almost from the beginning of your trek (assuming you are hiking southbound), and they are both lovely at any time of year. They are spectacular in the spring and summer after a winter with above average snowfall. Both are part of the Merced River, the source of which lies in the Yosemite backcountry. It falls 317 feet and, unlike its upstream companion, is considered a plunge fall, where the water loses complete contact with the rock behind it. 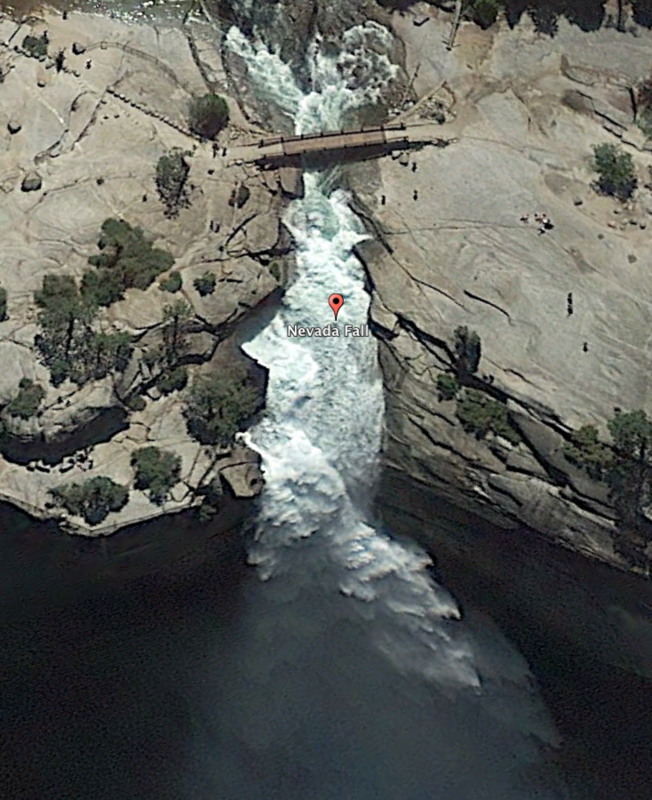 If you would like to take an alternate route past Vernal Fall to Nevada Fall, the Mist Trail offers one. You will encounter the intersection not long after crossing the Merced for the first time. It’s a bit shorter than the JMT, but more strenuous. I prefer – and recommend – sticking to the JMT. Nevada Fall is nearly twice as high as Vernal at 594 feet, but is classified as a horsetail fall, because the water maintains contact with the rock behind for most of its descent. The bridge over the Merced is a few yards from the edge of the waterfall and the view from that span is about as dramatic as you would expect. There will be many memorable sights after you leave these first two gems behind, but none more impressive. There is no such thing as a bad Sierra Nevada hike. Good luck with the permit chase; I know you will love either one! Preparing for my trip in July, I am rereading Muir’s major works, paying especial attention to certain things I will both specifically see (Yosemite features) and more general descriptions (bench lakes, high meadows) of which I will see only examples. Vernal and Nevada are two of the specifics that JMT hikers starting at HI will see, and may benefit greatly from Muir’s accounts of them. In The Yosemite, published in 1912, he gives a fairly detailed account of this section of the hike, looking closely at Vernal and Nevada, and the natural history around them. It is interesting that most of the features of today’s trails were in place in 1912, and we recognize them, including stone steps and iron rails. It is worth a detailed rereading of “Mountains of California” and “The Yosemite” before your trip, as the treasure of Muir’s observations and insights will inform and enrich your entire experience. 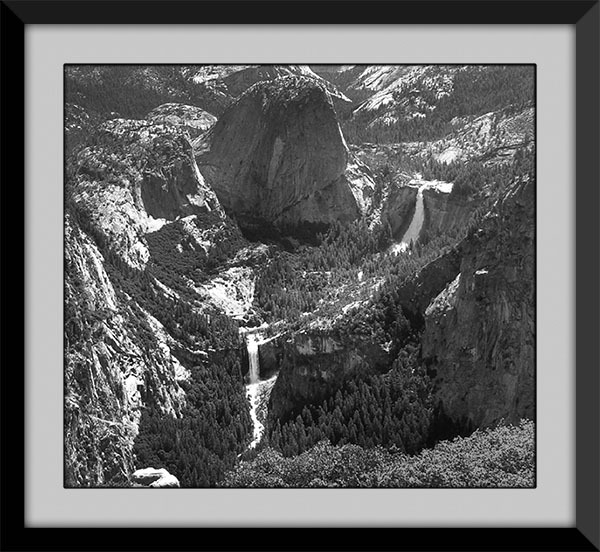 Several passages, on these falls, Tuolumne, Lyell Canyon and Lyell Peak and Glacier (which closely track the JMT) will relate specifically and immediately to your journey. It is well to pay close attention to these, as outside of Yosemite, Muir’s specific descriptions and accounts of places along the JMT are few and far between. But relating Muir’s observations to yours of the specific phenomena in the park is excellent training for seeing in other features along the route what Muir’s describes more generically in is vast writings. For example, Muir discovered 65 glaciers in the High Sierra, but only described three of them (one of which no longer exists) in his main writings. But you may recognize features and gain understanding that you may may apply to other examples you may find along your way.